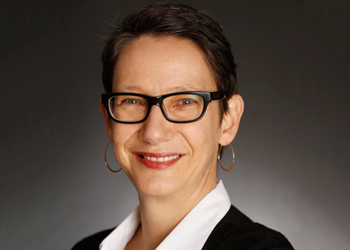 Annette Bernhardt is director of the Project on Low-Wage Work at the UC Berkeley Labor Center, as well as a senior researcher at the Institute for Research on Labor and Employment. She recently was visiting professor in the UC Berkeley sociology department, as well as a fellow at the Roosevelt Institute. Previously she was policy co-director of the National Employment Law Project, where she coordinated policy analysis and research support for campaigns around living wage jobs, enforcement of workers’ rights and accountable development. A leading scholar of low-wage work, Bernhardt has helped develop and analyze innovative policy responses to economic restructuring in the United States. She was one of the principal investigators of the landmark study Broken Laws, Unprotected Workers, which documented high rates of minimum wage, overtime, and other workplace violations in the low-wage labor market. She has also been a leader in collaborating with immigrant worker centers and unions to develop innovative models of community-based research. Her current research focuses on domestic outsourcing, the gig economy, and the impact of new technologies on low-wage work. Dr. Bernhardt’s most recent book is the co-edited The Gloves-Off Economy: Workplace Standards at the Bottom of America’s Labor Market. She has also published widely in journals such as the American Journal of Sociology, the American Sociological Review, and the Journal of Labor Economics, among others. Bernhardt received her Ph.D. in sociology from the University of Chicago in 1993.